Wouldn’t our lives be easier if Sarah Palin was single-handedly responsible for the atrocities in Arizona yesterday? She was not. Obviously. 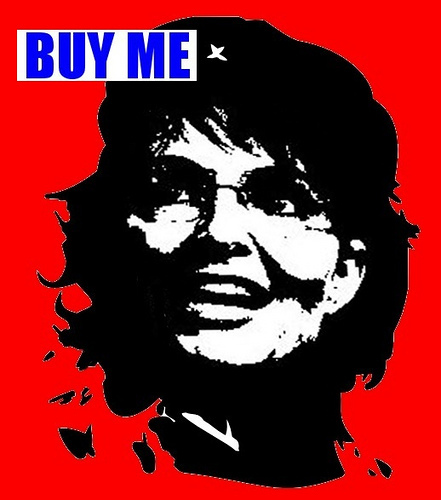 Today, however, I have zero compassion for Palin or her ilk. An innate idealist, I want to believe that bigotry and verbal and physical acts of violence by people (wherever they may fall on the sane/insane spectrum) against people of a different skin color or sexual orientation or political stance is ever so gradually dying out. That humans in my generation and younger are more open-minded and less likely to detest, shoot, and murder black people or Hispanics or gays or liberal politicians than, say, in past eras. Upon hearing news of the shooting of Congresswoman Gabrielle Giffords and the deaths of the innocent bystanders on Saturday, January 8 in Arizona, my idealism was invaded by pessimism. Hatefulness in thought, speech and, ultimately, action, is all too alive and well. Foreign Policy magazine warns of 16 potential war zones in 2011, including Zimbabwe, Mexico, Sudan, Pakistan, Lebanon, and right here in Guatemala. And with the firing of those bullets on Saturday morning at that Tuscon Safeway, even the United States is apparently a political terror zone. A year ago, I was oddly compelled to research and write this opinion piece in which I defined “Palinsanity” as a psychological conundrum that debilitates victims by turning Americans (left, right and center) into frothing citizens who utter incoherent claims about our country’s demise. After immersing myself in Palinisms and reviewing footage and articles until I was red in the face, I slaved over the essay with help from my friends and editor. Then, to avoid succumbing to full-blown Palinsanity myself, I turned away. Clearly, as a liberal-hippie-yogini-vegetarian, I typically opt not to watch Fox. I haven’t seen her reality TV show. I removed her from my Twitter and Facebook feeds. The most irritating thing about Palin’s persona is her Fundamentalism: the narrow-minded way she sticks to her boilerplate position on any issue, no matter what. I guess it riles me up because she then becomes an unattractive mirror for my own tendency to stick to MY beliefs, MY boilerplate position on issues like nonviolence and enlightened living. (I am a yogavangelist after all.) So right there, with the admission of something I have in common with Sarah Palin, there is a tiny spark of compassion beginning to ignite. I do not hate Sarah. Former Governor Palin is not the root of the problem, but she and her popularity are a symptom. (True, an obnoxious symptom, but still a symptom.) There are a plethora of complex, overlapping issues here. Where does free speech end and inciting violence begin? Why are gun laws so lax and how can they be quickly and effectively improved? What is so horrible about the health care bill? When will we be able to begin a civilized debate on immigration? How can we fix our very broken mental health care system and offer real therapy and healing to the mentally ill or unstable? There’s plenty of power and money to be won by skillfully stimulating public anger against some or all of the rest, and there are few rewards for restraint. In the media, the situation is even worse. You can make vast fortunes riling up mobs. And because it’s a fiercely competitive market, there’s an obvious and immediate benefit to using superheated rhetoric — it’s more entertaining, gains more attention, and definitely gets more viewers and listeners and, er, readers. We know this in theory and from personal experience. No matter our spiritual or religious beliefs or practices, in the face of a disturbing tragedy, it’s natural to experience reactions of disgust, despair and/or disdain directed toward some scapegoat. It gives us something we can point to and blame and then feel that we’ve accomplished something. But lashing out and hurting others hurts both us and them. When are we going to integrate this truth into practice? How will the events of history and of yesterday lead us to cure this ignorance, this apathy, this inaction? I, for one, am not ready to send metta (unconditional lovingkindness) to Ms. Palin, or Mr. Beck, or the shooter, Jared Loughner. (You can’t fake metta; it doesn’t work that way.) But one day I will be able to connect with the fact that they and all beings want what I want: happiness, health, safety and freedom. As long as I keep practicing vigilantly, maybe compassion will come sooner than later. Previous Previous post: yoga is my salvation.